1 1/2 tsps. 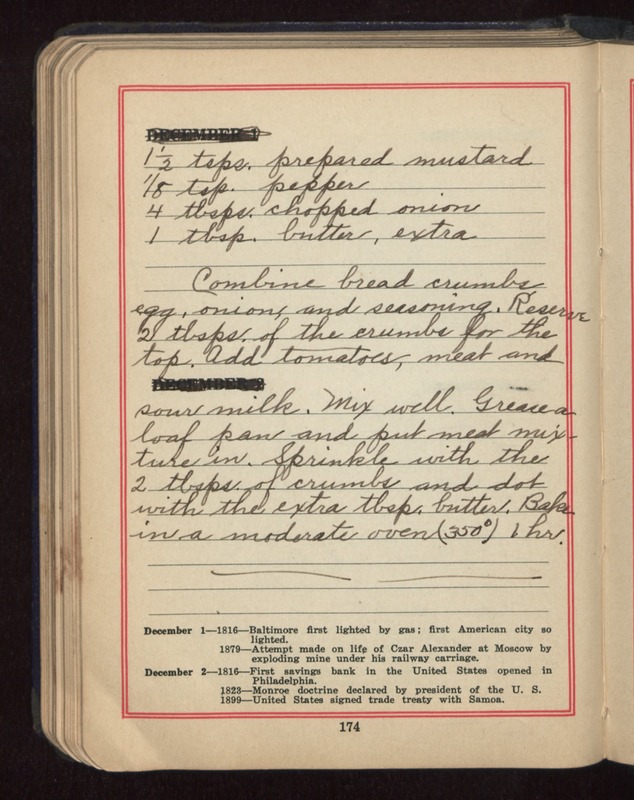 prepared mustard 1/8 tsp. pepper 4 tbsps. chopped onion 1 tbsp. butter, extra Combine bread crumbs, egg, onion, and seasoning. Reserve 2 tbsps. of the crumbs for the top. Add tomatoes, meat and sour milk. Mix well. Grease a loaf pan and put meat mixture in. Sprinkle with the 2 tbsps of crumbs and dot with the extra tbsp. butter. Bake in a moderate oven (350 degrees) 1 hr.